Sherman Russell Wankier passed away on April 11th in American Fork, Utah. He was born April 21, 1930 in Levan, Utah to Eric and Constance Almay Shepherd Wankier, the youngest of 8 children. Most of his childhood was spent in Levan, except a few years in California during World War II. He signed to play baseball out of high school for the St. Louis Cardinal Organization. Sherm loved all sports, especially golf. At the age of 85 he shot his age, both right and left handed in the same week. He married his high school sweetheart, Yvonna Walker, in the Church of Jesus Christ of Latter Day Saints Salt Lake Temple on January 19, 1949. They are the parents of 3 children, 8 grandchildren and 26 great grandchildren. After leaving baseball, Sherman worked in automobile sales, both retail and wholesale, being District Sales Manager of the Western States for Chrysler. He managed the Royal Inn Motel and Restaurant in Provo. He was Director of Purchasing for Alpine School District and retired in 1994. 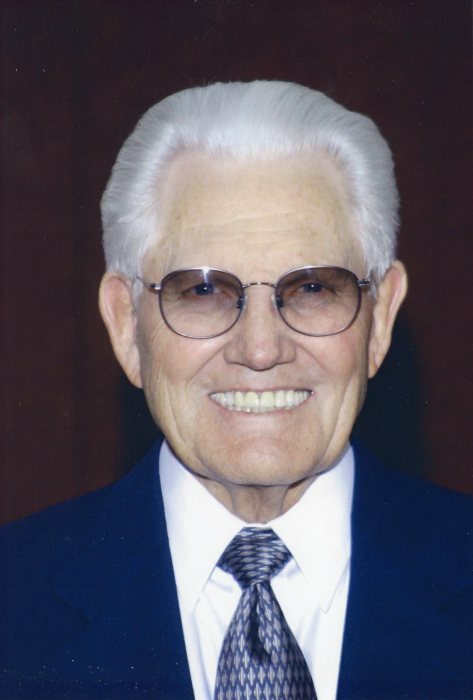 Sherman was a member of the Church of Jesus Christ of Latter-Day Saints where he worked with the youth, served as ward clerk and high priest group secretary. He is survived by his wife, a son, Curtis (Jackie) Highland, 2 daughters: Danna Johnson (Glade) Acworth, GA and Melissa Crawford (Chris) Vineyard. He was preceded in death by his parents, brothers - Cleon, Nephi, Ernest, Clifford, Keith, Shirley and sister Thelma Story. Special thanks to Rocky Mountain Hospice for their loving care and support in Sherman's last days. Funeral services will be held Thursday April 18 at 11:00 am in the American Fork 13th Ward Chapel, 950 N 60 E, American Fork. Family and friends may call from 9:45- 10:45 am prior to services at the church or on Wednesday evening from 6-8 pm at Anderson & Sons Funeral Home, 49 E 100 N, American Fork, Utah. Please share a memory at andersonmortuary.com.